CourseFinders.com, a student-facing site from ICEF, brings reviews to the language travel industry, to the benefit of students, schools and agents. Students gain an objective resource to help them choose their course. Schools and agents gain qualified leads from prospective students. Everybody knows how important reviews are in the travel industry. Review sites such as TripAdvisor and Yelp have become the main way to compare and choose hotels and restaurants, but have been slower to penetrate the language travel sector, where testimonials are still prevalent. 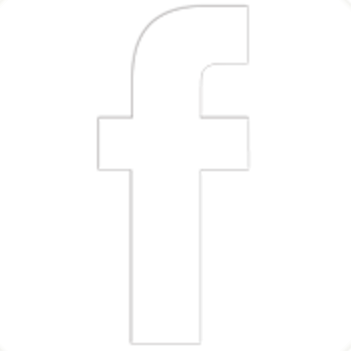 Testimonials are different from reviews in that testimonials are always positive, are chosen by the school, and the identity of the endorser is not usually verifiable. Research shows that consumers place greater trust in reviews written by people they consider similar to themselves. CourseFinders geo-targets its reviews, meaning if two students are looking at a profile simultaneously, and one student is in Germany while the other is in Mexico, the German will see the most recent German reviews whereas the Mexican will first see reviews written by other Mexican students. In numerous studies across various verticals, displaying reviews alongside product/service listings increased conversion rates (i.e. increased sales). One study found that the more information shown about a reviewer, the greater the conversion rate, and if a photo of the reviewer was added as part of the review, conversion rates increased by 22%. 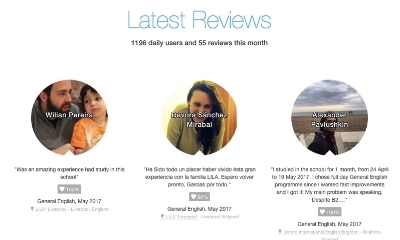 The desire to get authentic, unbiased feedback about language schools is reflected in the more than 75,000 visitors to CourseFinders each month. CourseFinders allows those interested in language travel to view school profiles, check prices, read reviews of the different courses available and easily send an enquiry to the school or agent of their choice. No matter how students first hear about a language school, be it from an advert, an agent or another student, they still look for further information, and peer reviews in particular, before making their final decision. More than half of traffic to CourseFinders is organic, and a large portion of that arrives after searching for “[name of a school] reviews”, showing that students are using search engines to do the due diligence. Schools are benefitting in a number of ways, with over 2000 currently listed on the site. Schools receive quality leads, and quality traffic to their own websites, usually for a lower price than Google AdWords. CourseFinders also acts as an independent database of reviews, giving students something to find when they are searching “[name of school] reviews”. There are also free tools that allow schools to show these reviews on any website they wish. In addition, CourseFinders helps boost the “SEO” ranking (priority of appearance in online search results) of schools´ own websites. CourseFinders is unique in that it enables agents to receive student leads, and the same free tools that schools use to show their reviews on their own sites are available for agents to use as well. Another benefit to schools is that clients only pay per click/enquiry, and not a monthly subscription fee. There are no “premium profiles” or “featured schools”. Schools cannot buy their way to the top of search results. Additionally, agents report using reviews of their partner schools either as a “closing” tool - to help students that are undecided to make up their minds - or as part of the pre-departure briefing process, to help alleviate anxiety among students that are about to travel. Schools and Agents that wish to join CourseFinders should contact info@coursefinders.com.